When you're looking for that authentic Key West “wow” experience, your best bet is to let a local be your guide. Consider taking your family, friends, or just the love-of-your-life, on a Key West private sunset sailing charter, or a deep water or back country fishing charter. And… if you love to eat (and who doesn't) discover why Key West is becoming an international food destination by tasting exotic island food on a guided walking food tour. Our selection of Key West Experiences will continue to grow, so be sure to check back to see what's next. 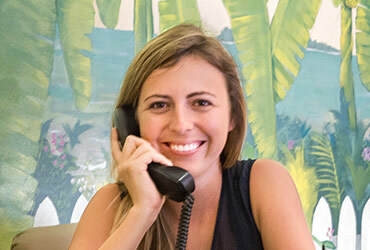 And please feel free to contact our Concierge Desk, to discuss creating a customized Key West Experience. VHKW is here to help you make vacation memories that will last a lifetime. Contact our in-house concierge who is at your service 7 days a week, from 9 a.m. to 10 p.m. to make your reservation. Looking for the ultimate adrenaline rush? Take the plunge with Skydive Key West! The Keys are a very unique place to skydive, and the views from up there are unmatched. No matter if it's your first jump or 50th, you can trust the team at Skydive Key West. They have been jumping out of planes in the Florida Keys for over 20 years. An experience you are sure to never forget. The 14 person (max) walking tours take you to five to six food and drink stops over the course of three hours. You will get to taste several delicious examples of local cuisine and sip locally distilled and/or site-favorite drinks. As you pass significant landmarks between stops, you'll learn about unique Key West history and stories, architecture, as well as local wildlife. Feel free to ask as many questions as you like, the knowledgeable guides can inform you on everything from history to recommendations. Drop a line and see what's biting with the best fishing captains in Key West. We can arrange fishing trips to the backcountry for light tackle fun as well as offshore deep sea fishing for trophy fish. Venture offshore with your personal fishing guide, and try your luck at catching some of the most sought after game fish on the planet. Feel free to ask about custom charters and we'll arrange your ultimate fishing trip. Take flight with a private helicopter tour guided by Air Adventure Key West. Get your adrenaline pumping with this high-flying experience. See the backcountry and sore over the Atlantic Ocean as you spot wildlife and take in the beauty of the Florida Keys. This is a great way to see the islands of the Great White Heron National Wildlife Refuge. Have you always dreamed of cruising through the tropical waters of Key West on a floating Tiki Hut? Your wildest dreams have just come true with Cruisin' Tiki Key West. These Floating Tiki Tour Boats are ready to take you and your friends out on the water. Do something out of the ordinary and see the beautiful waters of the Florida Keys on a floating Tiki Hut. Day trips, sunset harbor tours and sandbar charters are available. Our in-house concierge is at your service 7 days a week from 9 a.m. - 10 p.m. Whether it's to reserve activities or special events, recommend restaurants, book a customized cruise, shop for groceries, or simply book transportation plus much more, we have the local knowledge to assist you. We're a call, text, or email away.